Παρέχουμε αξιόπιστες και ποιοτικές νομικές υπηρεσίες από το 2005. Καλώς Ήλθατε στην ιστοσελίδα του Δικηγορικού μας Γραφείου. Πατήστε στο εικονίδιο με τις τρεις παράλληλες γραμμές στην επάνω δεξιά γωνία της οθόνης για να εμφανιστεί το βασικό μενού. Παρέχουμε ποιοτικές νομικές υπηρεσίες στη Βόρειο Ελλάδα και την Αττική από το 2005. Θα χαρούμε να σας εξυπηρετήσουμε. Έγκριση ως ηλεκτρονικό μέσο ενημέρωσης! Επισκεφθείτε μας πριν το τέλος του 2017! Mr. Athanasios Rozou proved tremendously knowledgeable and effective in helping me collect on unpaid wages. He ensured I was treated fairly and received the compensation due for work performed. I have been pleased with the professional service and the extensive knowledge Mr Rozou has displayed on matters related to the legal work he has advised me on. Money well spent in my opinion. When faced with litigation, we relied on Mr. Athanasios Rozou to help us understand our obligations and rights under Greek law. He assisted us in preparing the necessary and correct documentation and provided us with expert advice. In short, we won the case and we thank Mr. Rozou for that. Mr. Rozou’s legal advice on expanding our MLM business to Greece proved extremely helpful and efficient. We would definitely hire him again. 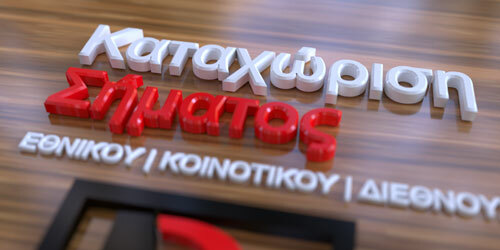 In order to deal with inheritance issues in Greece, one definitely needs proper guidance from the right professional. Mr. Athanasios Rozou handled our inheritance case quickly, discreetly, and efficiently. We are very satisfied with the high level of service we received. When legal difficulties arose in my family, I consulted with Mr. Athanasios Rozou to understand each party’s legal obligations and legal recourse. He was instrumental in helping me resolve my domestic legal problems. There is no treaty between Greece and Thailand that recognizes the administrative decisions of their agencies, hence my husband and I asked Mr. Rozou to undertake the legal procedure for the recognition of our marriage In Greece. His law firm prepared all the paperwork, drafted and filed the necessary applications to the correct public authorities on time, and put our legal affairs in order. The international aspect of business, particularly that conducted via the internet, brings myriad complexities regarding taxes, tariffs, and other fees assessed on goods and services. Mr. Athanasios Rozou helps our business navigate those complexities so that we can operate on a global basis and still make a profit. Неоценимую услугу оказал нашему бизнесу мr. Athanasios Rozou. Обязательно и дальше будем сотрудничать. Спасибо. The first time I entered Mr. Rozou’s office, I was very nervous about my inheritance case. Mr. Rozou reassured me and immediately took all proper legal action. After a few months, we had a positive court decision in our hands and all my anxiety was gone. I am very pleased! When one of our parents passed away, my wife and I consulted Mr. Athanasios Rozou regarding the intestate disposition of inherited assets. Mr. Rozou not only explained our rights accurately according to the intestate succession laws and helped us make the right decisions, but he also took all the necessary legal actions immediately and discreetly. When I decided to let out a retail store premises, I needed to know my rights as a landlord. Mr. Athanasios Rozou drafted a proper tenancy agreement and made sure all parties understood the legal terms and conditions of the tenancy. As an accountant, I have worked with Mr. Rozou for more than a decade. He is a very reliable and trustworthy partner. Whenever I have consulted him for my personal legal affairs, his advice has been accurate and essential. Greece has experienced unprecedented change over the last few years. Homeowners who purchased their family houses during this time and cannot keep up with mortgage loan payments need expert legal advice to protect their property rights and avoid foreclosure. Mr. Rozou helped me understand my rights against banks and took all the necessary legal actions to ensure that my family will keep their important assets. I am very grateful for that. Μετά την απόρριψη της αίτησής σας για υπαγωγή στο Νόμο Κατσέλη έχετε μία ΔΕΥΤΕΡΗ ΕΥΚΑΙΡΙΑ με την κατάθεση ΕΦΕΣΗΣ ή ΝΕΑΣ ΑΙΤΗΣΗΣ, προκειμένου να κερδίσετε πίσω την οικονομική σας ζωή. Μην την αφήσετε να πάει χαμένη. Εμπιστευθείτε μας.